This is photo #37 (of 50) in a series about life in Brazil. 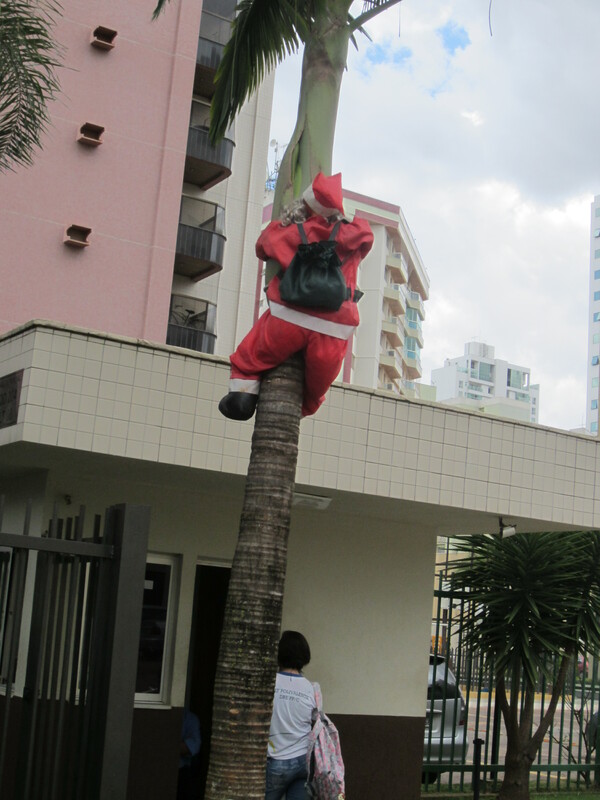 Christmas displays in a tropical country aren’t always traditional. 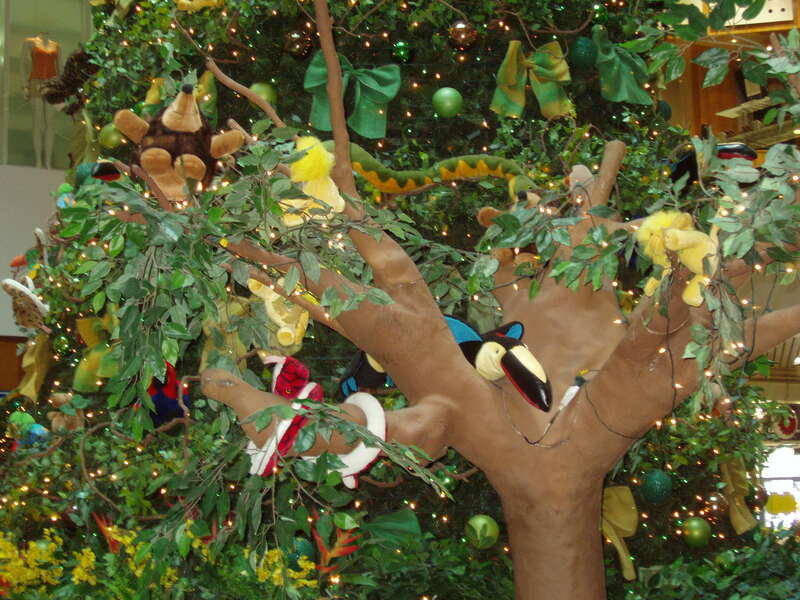 The first picture, taken at the mall, shows a Christmas version of the Amazon jungle (complete with boa constrictor) and the second is Santa climbing up a Palm Tree since there are no chimneys. Merry Christmas! Hmmmmmmm…very interesting… What a challenge…to present the true story of the birth of Jesus Christ! MERRY MERRY CHRISTMAS !! and all that goes with it !! Interesting pictures !